Rooch Nation: So Long NCAA....Hello MLB! Florida trounced UCLA last night, and if you watched the whole thing you are a bigger sports fan than I am. 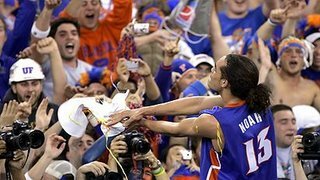 Joakim Noah and his Gator teammates trailed only once at 2-0 on their way to cruising to a 73-57 win. Noah set a title game record with 7 blocks, 5 of them coming in the first half, on his way to being named the MVP of the Final Four. 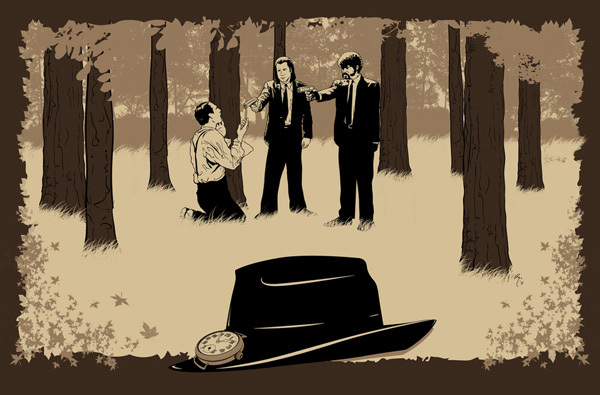 The outcome was fairly predictable and easy to explain. Florida could match UCLA's defensive intensity, had more height and are light years ahead of the Bruin's offensively. UCLA had been depending on the recent upstart play of their 7-footer Ryan Hollins for offense on their run, but he combined with star guards Aaron Afflalo and Jordan Farmar went a combined 15-41 from the field in the title game. Not nearly enough offense to hang with a Florida squad that 4 players in double figures, led by Noah's 16 and Al Horford's 14. Only time will tell if Noah and his talented teammates decide to return to Gainesville for another run, but if they do, you have to consider Florida the favorites going into the 06-07 season. Leave it to Bud Selig. I mean the guy is just a loser. Besides being the most unkempt commish in the history of pro sports, he now may be the weakest. Selig assigned George Mitchell to investigate the use of steroids in baseball from 2002 to the present. Problems here? Nah. I think it's a great idea. I mean it's not like Mitchell is on the board at Disney, which happens to be tied in through ABC and ESPN to Barry Bonds' new reality show. It's not like he's on the board of the Boston Red Sox either, which by the way would be one of the teams he would have to investigate and hand out punishments to. But the good thing is, is that Mitchell has the power to subpoena players, meaning they will be forced to cooperate or face criminal charges. Oh wait, no he doesn't. All you have to do if George Mitchell asks to talk to you, is say no. Mitchell isn't going to find anything in this probe, which may be a good thing. I mean what is Selig going to do if Mitchell turns up evidence of steroid use? Erase records? Litter the record books with asterisks? Come on Bud. We all see where you thought this probe was a good idea, but we aren't as dumb as you think we are. Get an independent investigator, with subpoena power, and then you will have our attention. And no Mark McGwire can not be the independent investigator Bud so don't even think about it. *Plumbing reworked to accommodate a "salon styling center"
As if that wasn't enough, Prince was planning to throw a concert on the property for everyone who found a purple ticket in the new 3121 album. 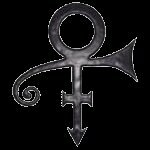 Needless to say, Boozer is suing Prince, and fans in Cleveland just made 3121 the best selling album in the country. Leave it to NASCAR to cover every angle when it comes to marketing and advertising. The fastest growing sport in the country now has it's own brand of meat. That's right. Get on your walkie talkie, rip down a few Winstons and cook yourself up a few prime cuts of Dale Earnhardt Jr. steaks. I gotta hand it to NASCAR. No matter how silly this seems on the surface, they know it's going to sell, and they are right! Note to MLB: Come out with your own line of team logo syringes ASAP. *Well the defending champs didn't get any worse in the offseason for starters. It may be difficult to avoid major injuries for a second straight year, but they have too much pitching to deny them at this point. *The NL looks weak this year again. Besides the Cardinals or Mets, I don't see another NL team that has a legit shot at winning the World Series. I feel the additions the Mets made in the offseason will not only be enough to finally overtake Atlanta, but enough to get Minaya's new look Mets all the way to the NL pennant.